The kind of heroes a person chooses has a huge impact on his life. And the day your name is mentioned in the same breath as your hero, you've bridged the gap between dream and reality. For MS Dhoni, that day came after he played his fifth match for India. No sooner did he butcher the Pakistani bowlers on a sweltering April day in Vizag to score a 123-ball 148, the cricketing world started to hail him as the next Adam Gilchrist. Dhoni dedicated his maiden ODI century to Gilchrist, and a few years later, one got to know the respect was mutual. “The best compliment for me is when someone says they’ll pay to watch me play,” Gilchrist said. “And I can say that I’ll pay to watch MS Dhoni bat.” Four years have elapsed since the world’s best wicketkeeper-batsman made that statement, and the respect has only grown. 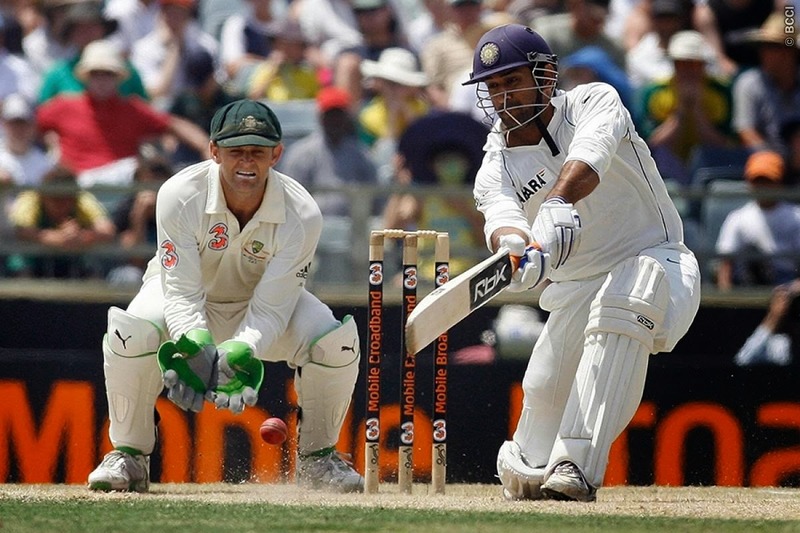 Responding to all the comparisons between him and Dhoni, Gilchrist said, “MS is not the next Gilchrist. He’s the first MS Dhoni”. Here’s a little rewind of what the legend had to say about Indian cricket’s most inspirational leader. I am extremely impressed with him as a cricketer. From what I can see, he has always been courteous, friendly and a warm person. His calmness is his greatest asset amongst fine skills, great power and so on. It’s a difficult job to keep full-time in the subcontinent alongside batting and captaining the side. I think he has done a remarkable job. Everything he adds in different aspects of the game makes him a wonderful package for a cricket team. He seems to me like a very calculative and a smart cricketer who knows what he can do but doesn’t necessarily plan it all the time. He reacts to whatever happens in front of him. Of the current lot, Dhoni is my favourite wicketkeeper-batsman. A lot has been spoken about his keeping and people say that there are potentially better wicketkeepers in India, which I am not sure about. For me, MS does a terrific job behind the stumps. I believe he is not a huge trainer when it comes to his wicketkeeping. I have been told that he does very limited wicketkeeping drills and practice, and that’s really interesting. I have seen him at a constantly acceptable level and haven’t seen him making blunders that have cost his team. His biggest strength in batting is his power. He hits the ball with great power and can dispatch a very good delivery out of the ground. The helicopter shot that he plays, is very unique and difficult to play. He seems to have taken a more mature and a stable approach of finishing the games. He can change his game in the last five overs knowing that no ground is big enough for him. He can clear the rope five or six times in the final overs, and all of a sudden the target becomes easy. I have been told earlier about him dedicating his first century to me and that really is nice. I feel thrilled to hear such a thing from any cricketer. He is very much his own man as far as I can see. The manner through which he came into the limelight was lighting fast. He very quickly formed his own personality and his own style. He’s completely different from me. He is not a great believer in training too hard. I, on the other hand, had to and wanted to prepare excessively before each game. He’s great at finishing the games in the limited overs format and I often batted up the order. He can adapt his game according to the situation – playing anchor or aggressor. I don’t see any kind of similarity between me and him. He is not the second Adam Gilchrist; he’s the first MS Dhoni. This interview was done in the 2012 IPL season .